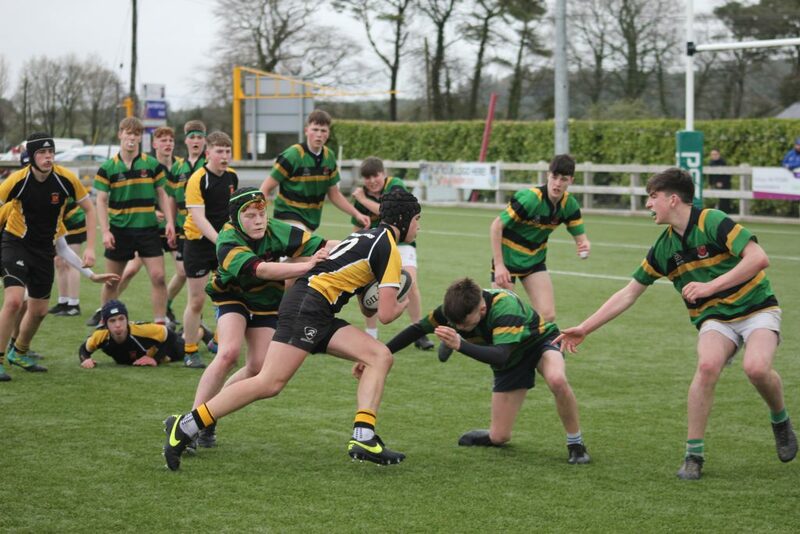 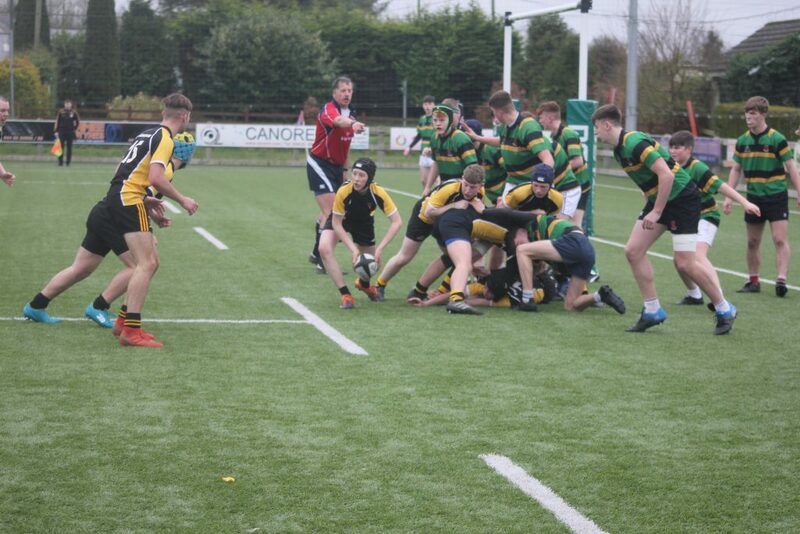 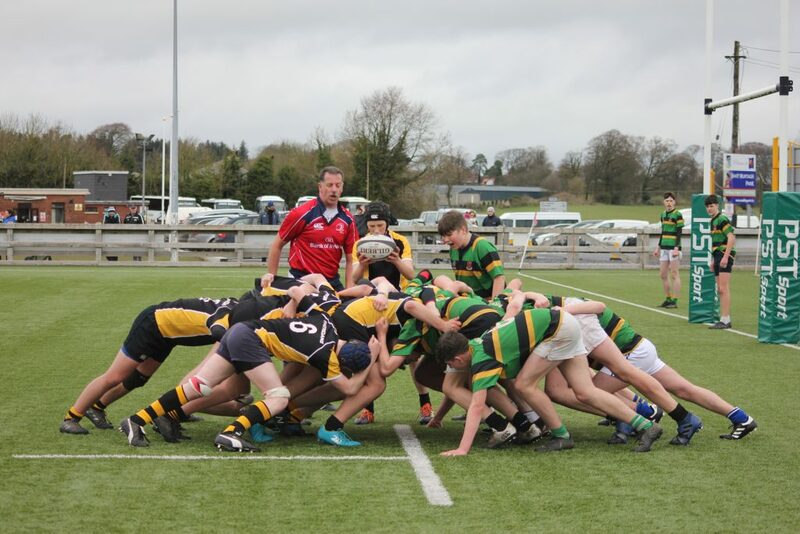 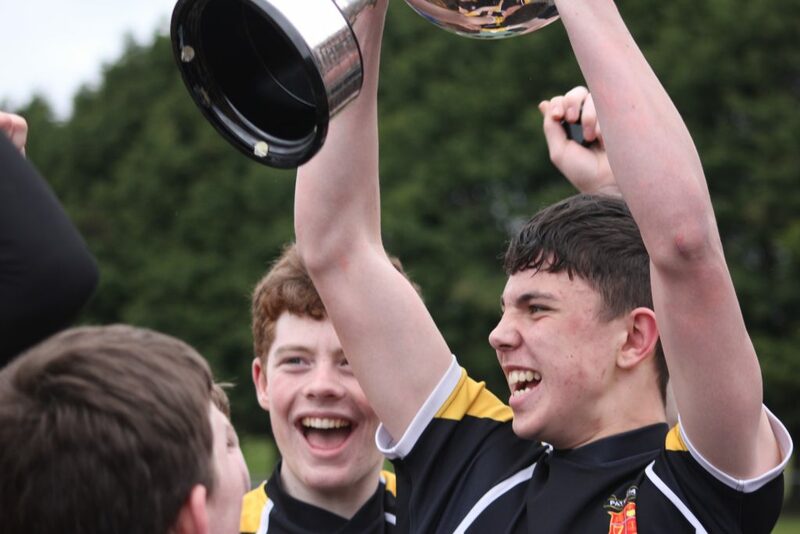 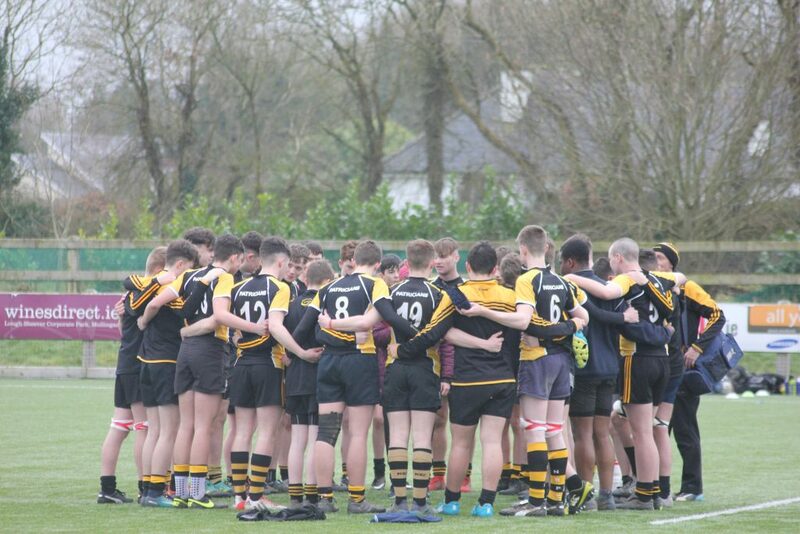 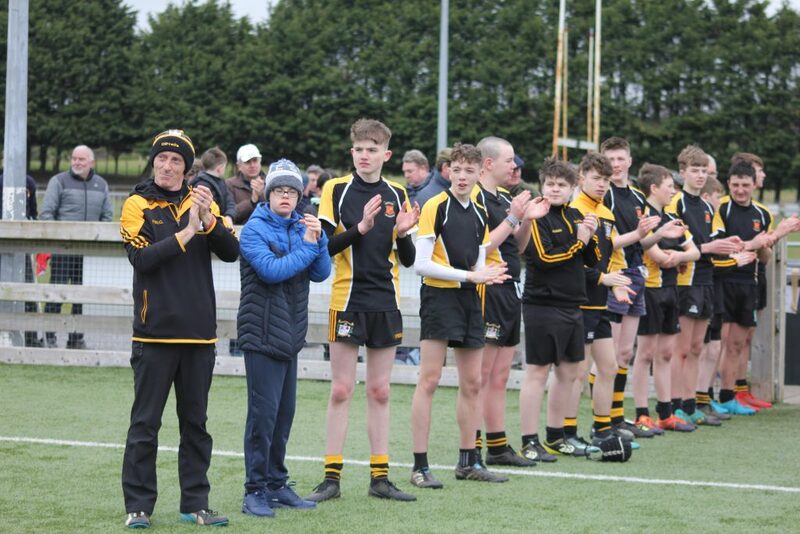 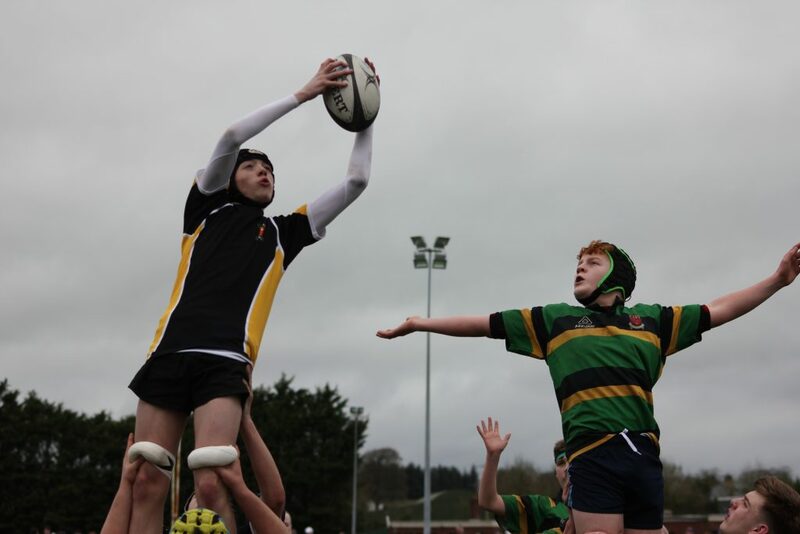 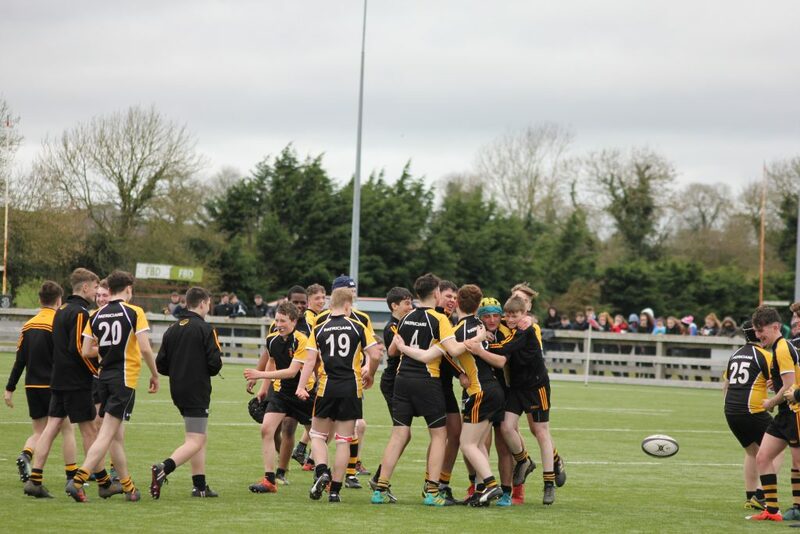 Our Junior Rugby team retained the Pat Rossiter Development Cup, following a 20-0 victory over Moyne CS, Longford on Tuesday March 19. 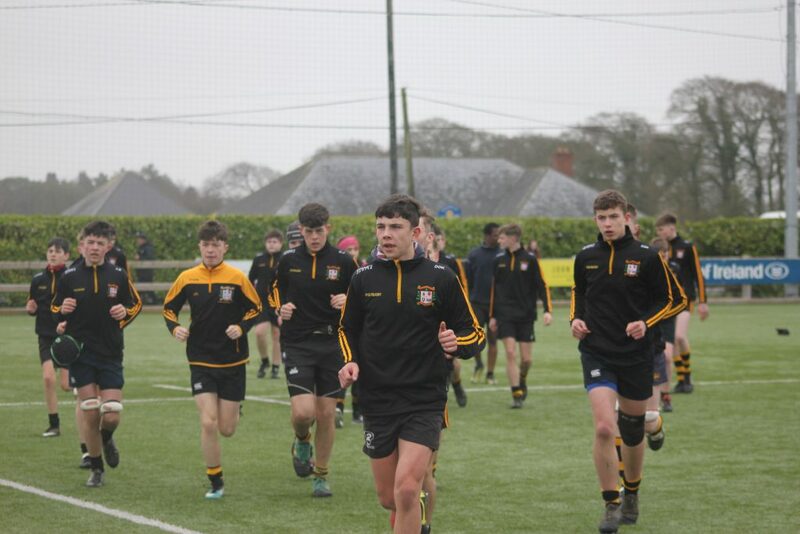 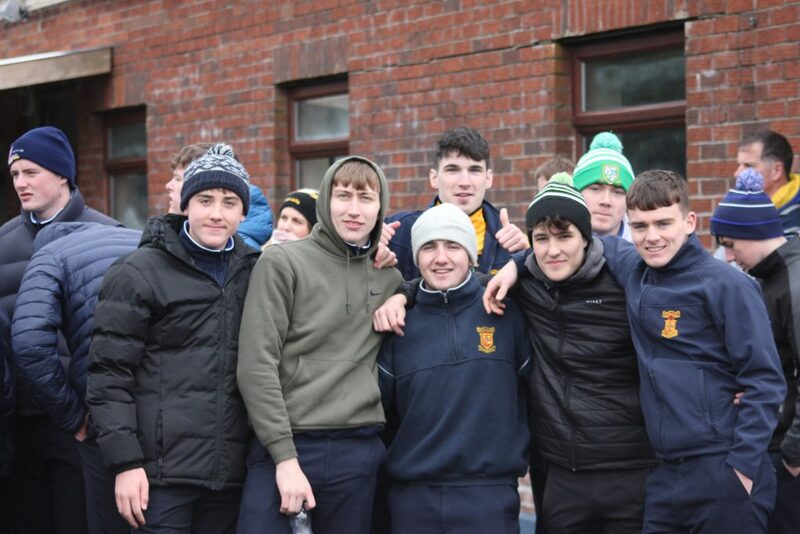 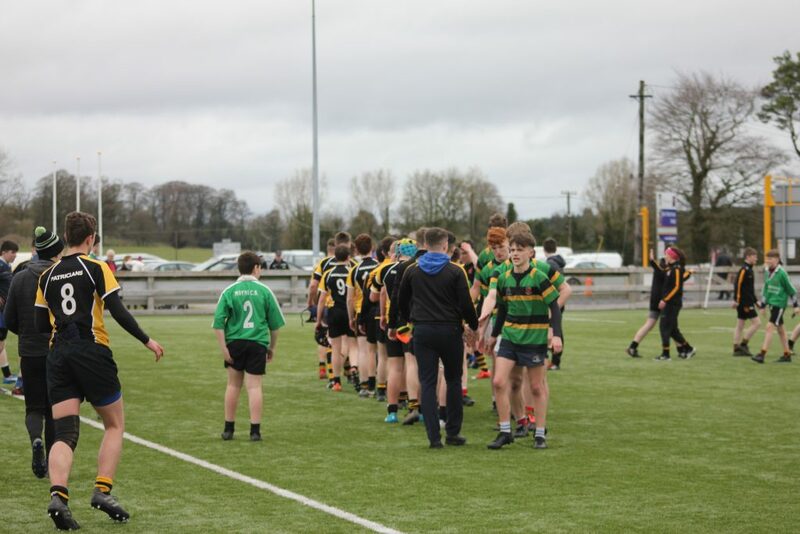 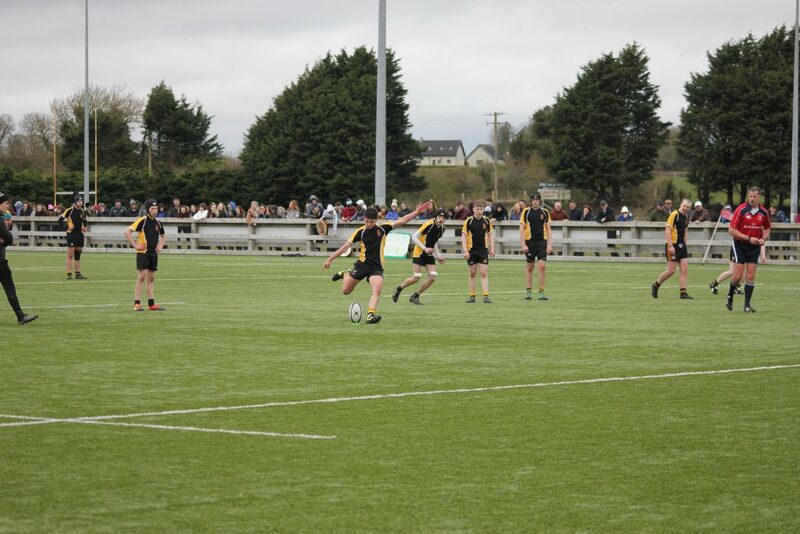 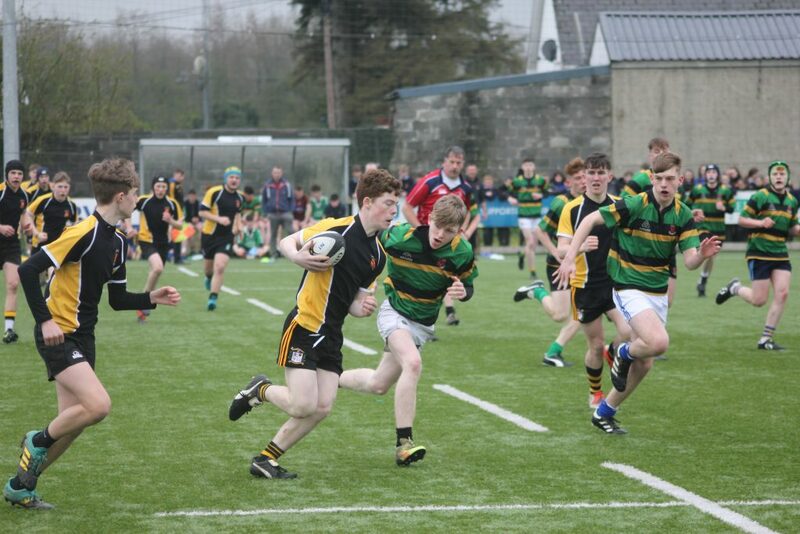 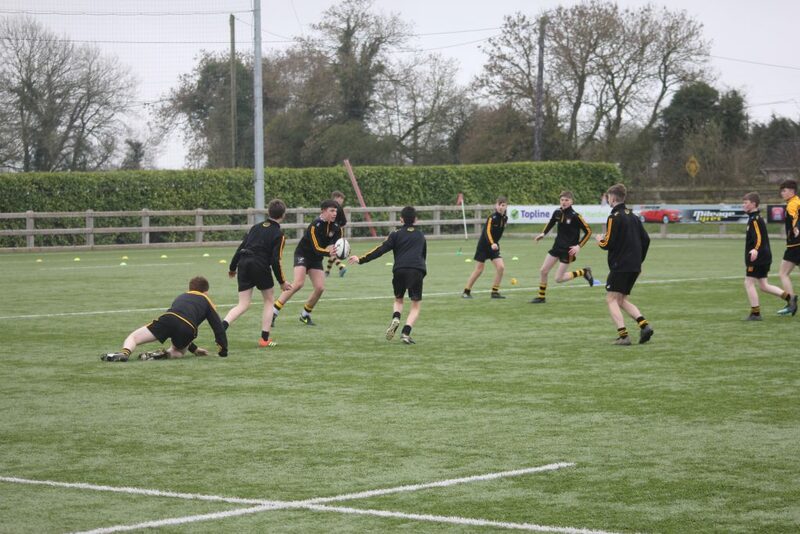 The opening quarter saw Patricians face some tough opposition from the Longford school, but a forwards led move saw Fiachra Malone touch down after 10 minutes to ease some of the tension. 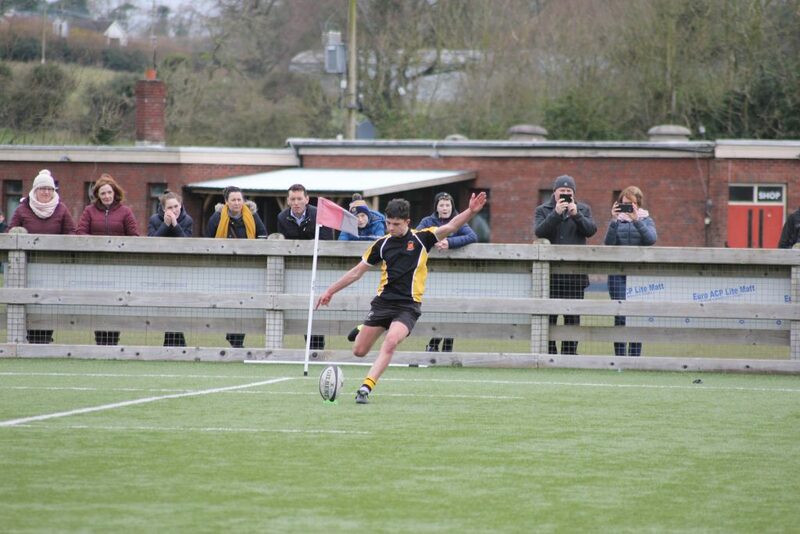 Six minutes later, the forwards were again to the fore, as they released James Choiseul to touch down. 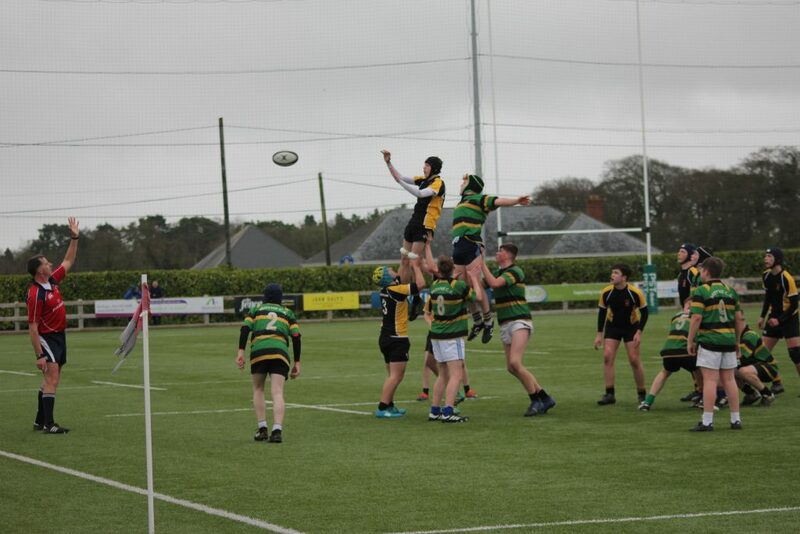 Senan Brannock followed up with the conversion to leave Patricians 12-0 ahead at the break. 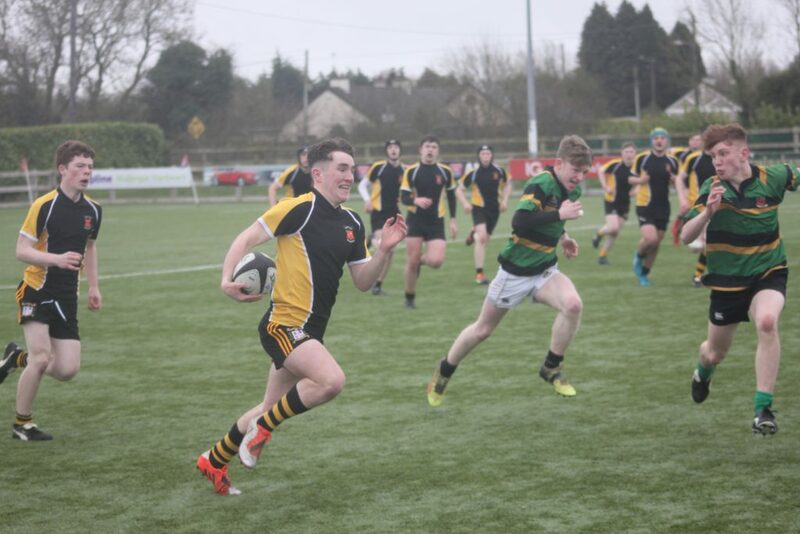 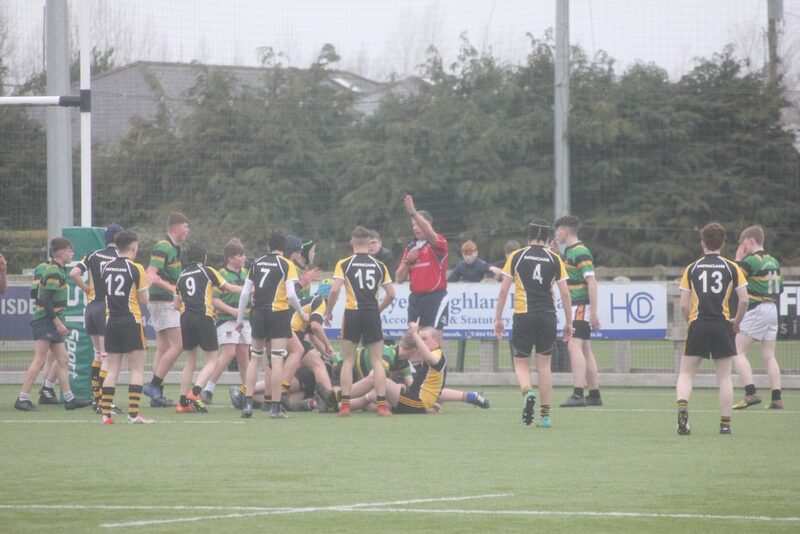 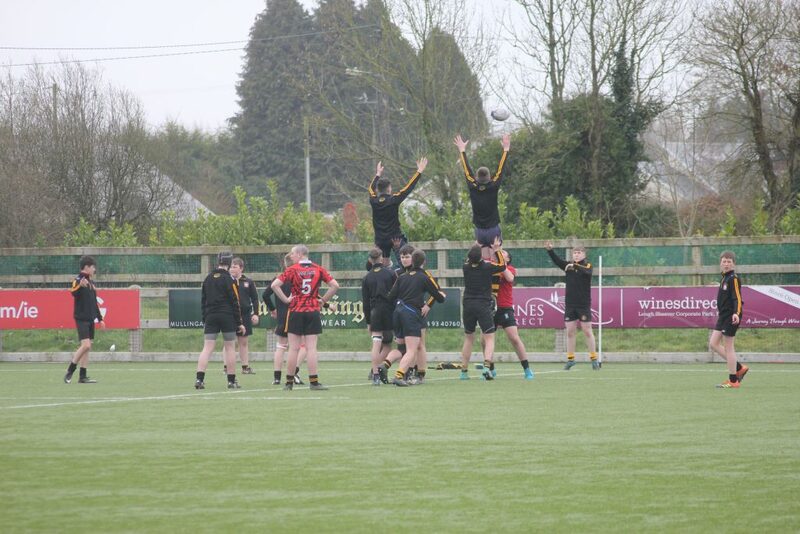 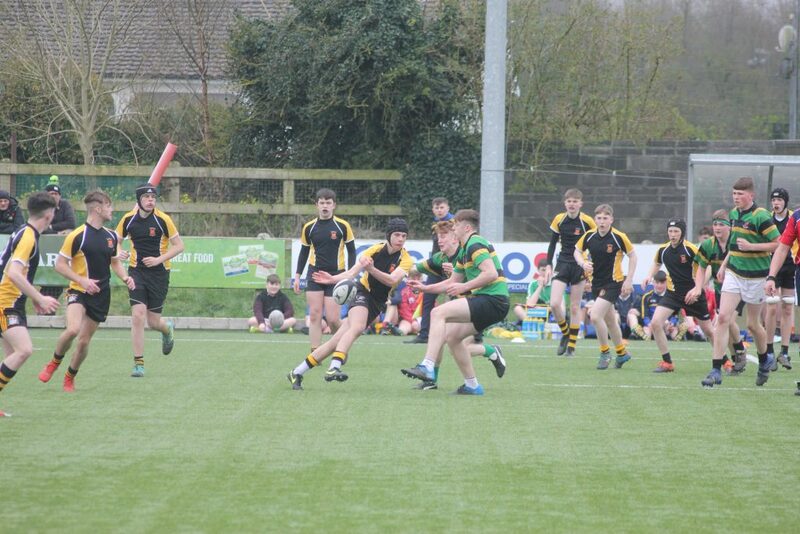 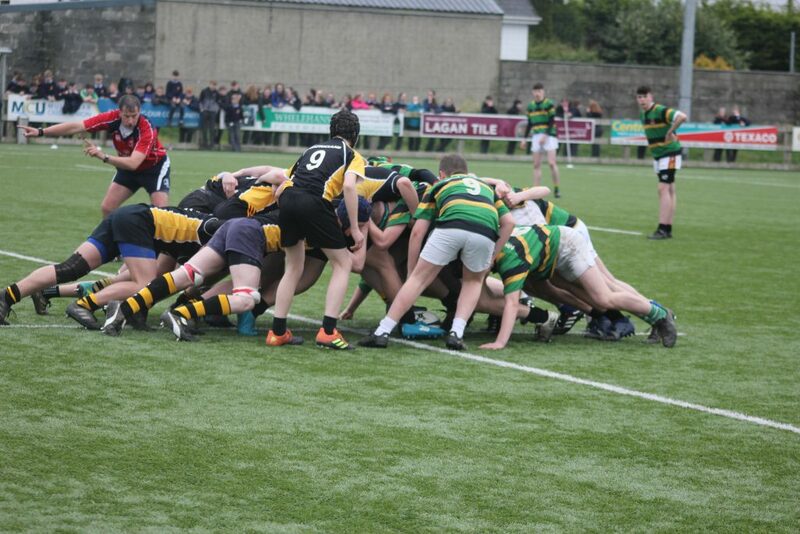 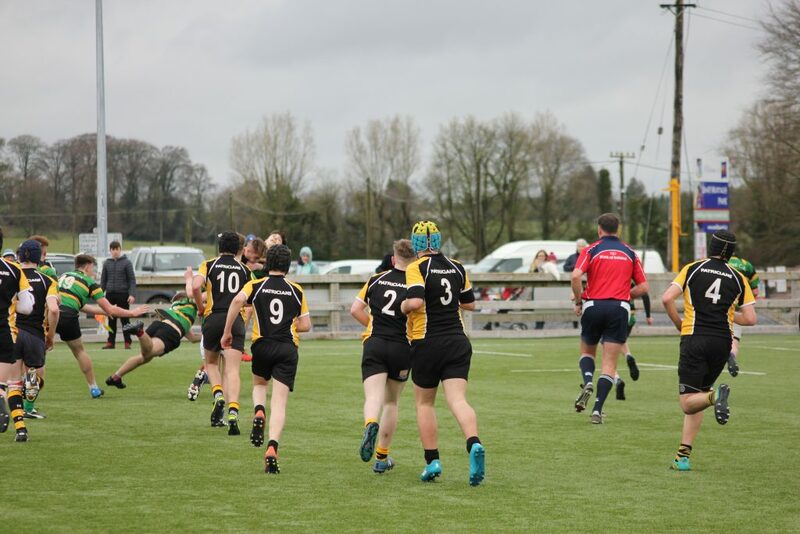 Moyne CS threw everything at Patricians in the opening minutes of the 2nd half, but some of their resolve was broken when Choiseul forced his way over for a second time. 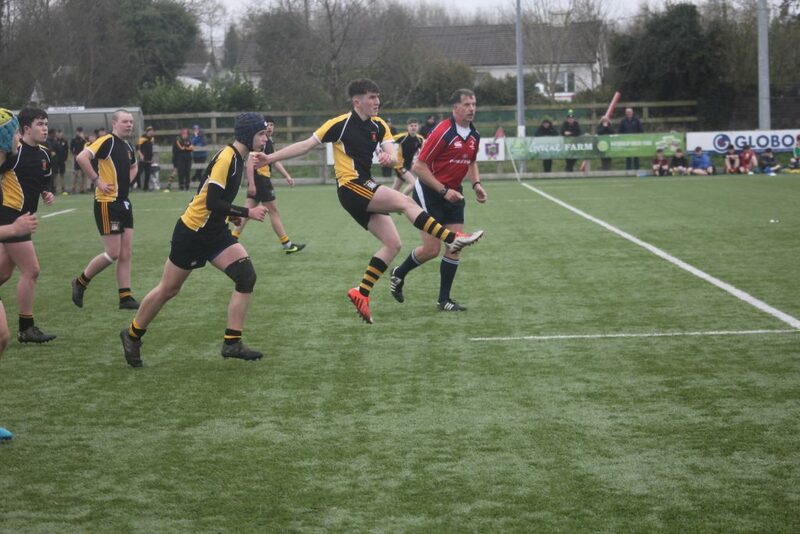 While, Brannock failed to convert, his kicking elsewhere on the park, was the reason Patricians dominated possession. 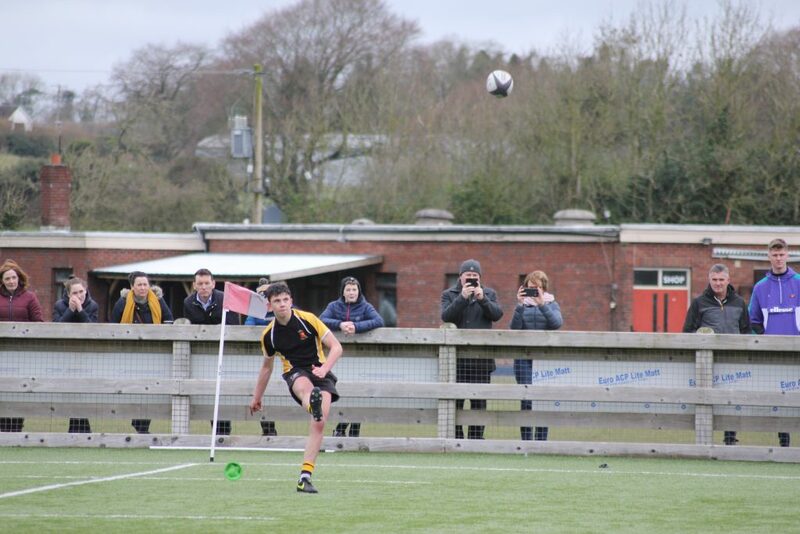 The Suncroft man put the icing on the cake, when he kicked a penalty on the full-time whistle, to spark the celebrations.